The potential for growth in car loans in Russia is giving hope to carmakers facing reduced demand in western markets. About a third of all cars bought in Russia are done so with loans – a much lower figure than in the United States. Second only to mortgages, car loans in Russia grew to $US6 billion in the first half of this year. It is a far cry from 1997 when the first car loan was made. In 2002 banks started to offer the first loans without demanding the proof of salary. 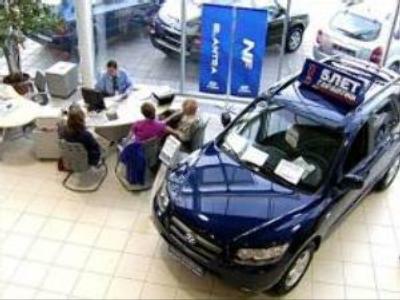 And now the motor sector is the key segment of retail lending in Russia. The two main options to buy a car with a loan are trade-in and buy-back programs. Under the trade-in program, consumers lay down payment for a new car. The buy-back program is a long-term loan, perhaps over six years. Russia has seen a sharp fall in the cost of loans, to about 9%. Competition is fierce – but it’s mainly among local players. That competition will become more intense as foreign car producers enter the market with their own banks – offering more attractive programs.